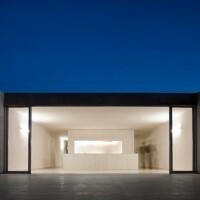 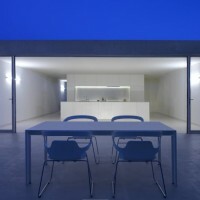 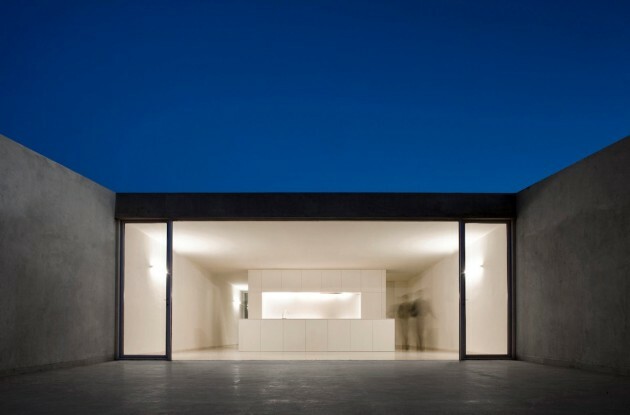 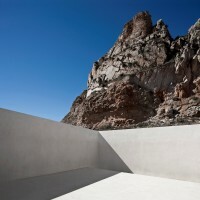 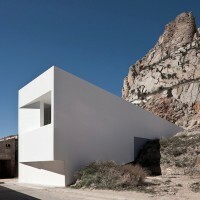 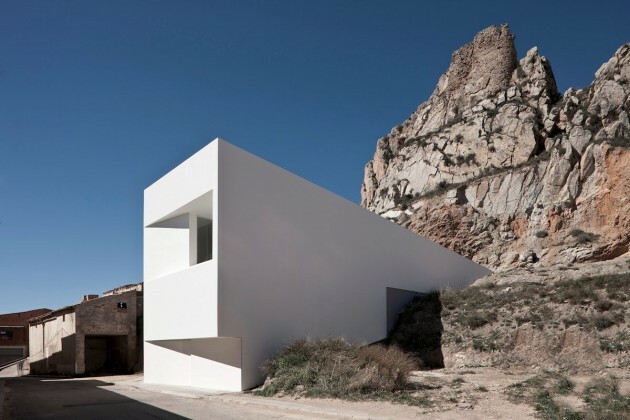 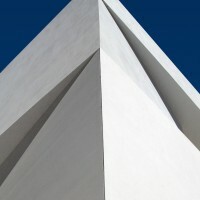 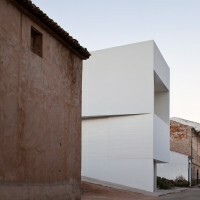 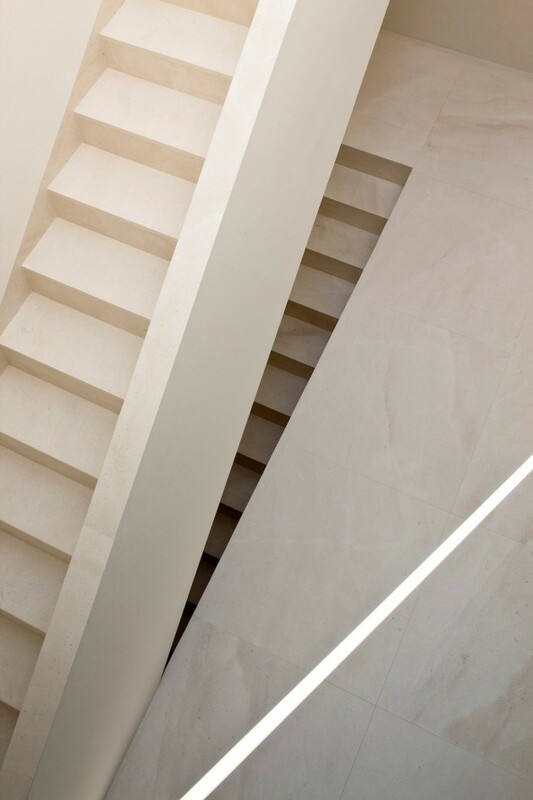 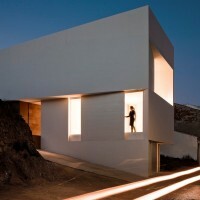 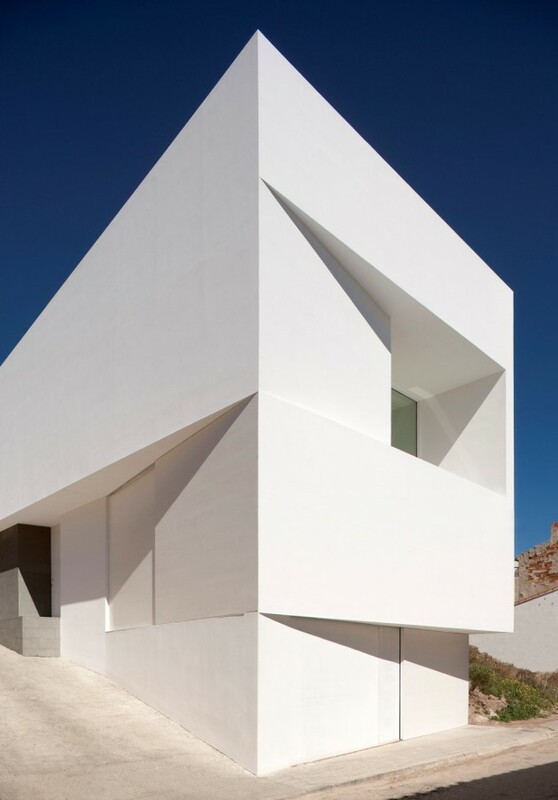 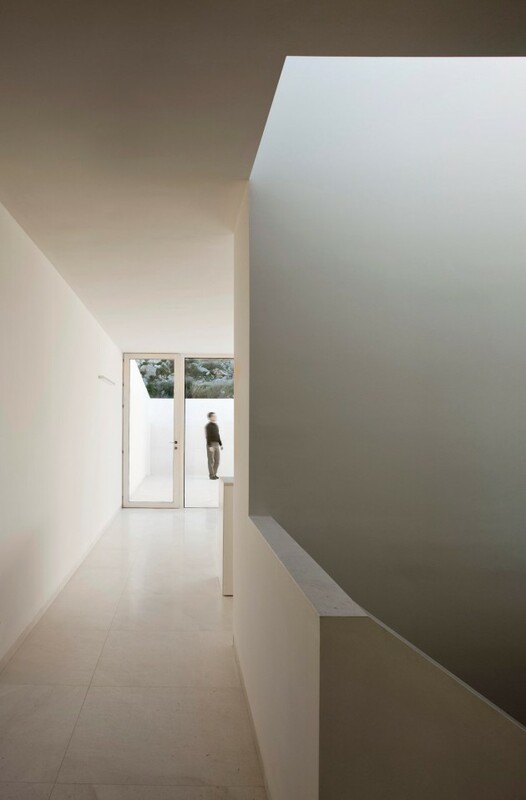 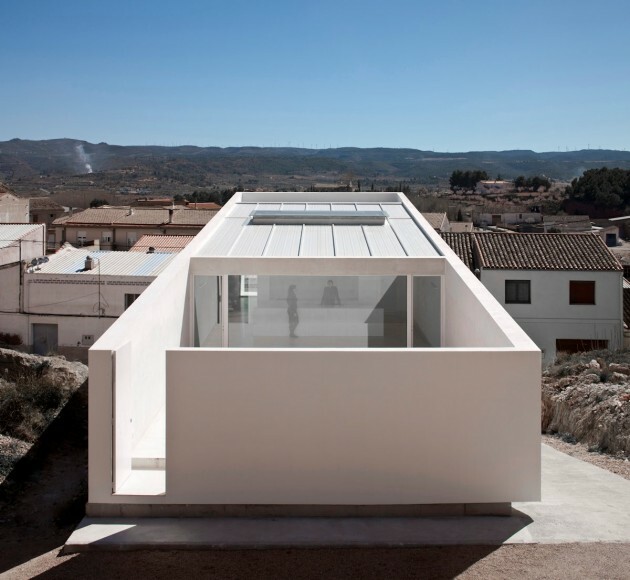 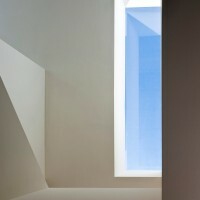 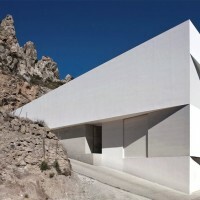 Fran Silvestre Arquitectos have designed a house on a mountainside that is overlooked by a castle in Ayora, Spain. 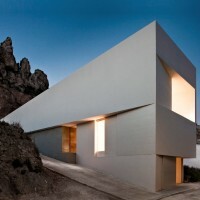 The building is located in a landscape of unique beauty, the result of a natural and evident growth. 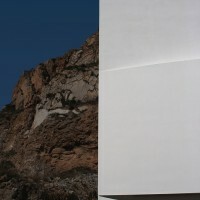 The mountain, topped by a castle, is covered by a blanket housing through a system of aggregation by simple juxtaposition of pieces generated fragmented target tissue that adapts to the topography. 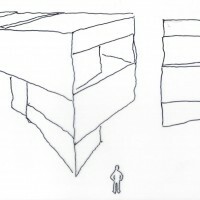 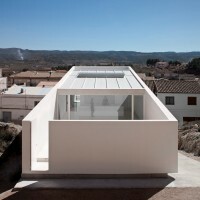 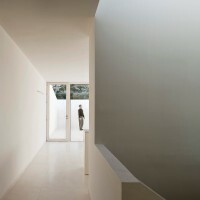 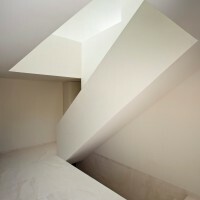 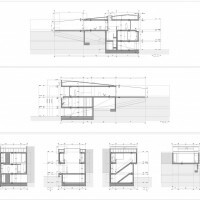 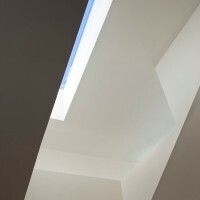 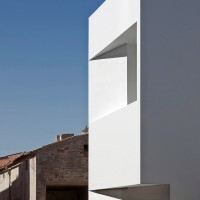 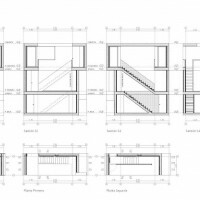 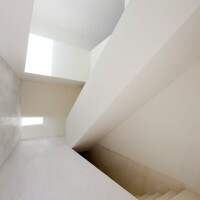 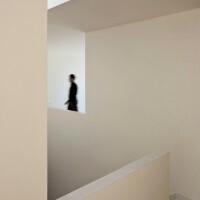 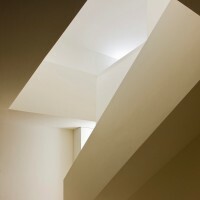 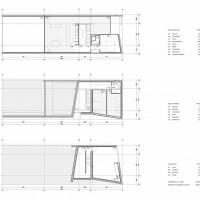 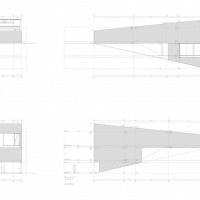 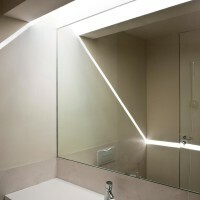 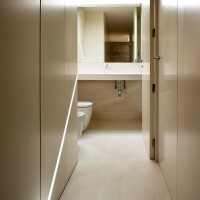 The project proposes to integrate into the environment, respecting their strategies of adaptation to the environment and materials away from the mimesis that would lead to misleading historicism, and showing the time constructively to meet the requirements of the “new people.” In this way the house is conceived as a piece placed on the ground, joining in the gap. 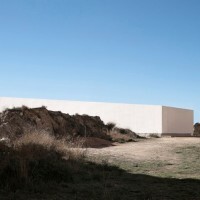 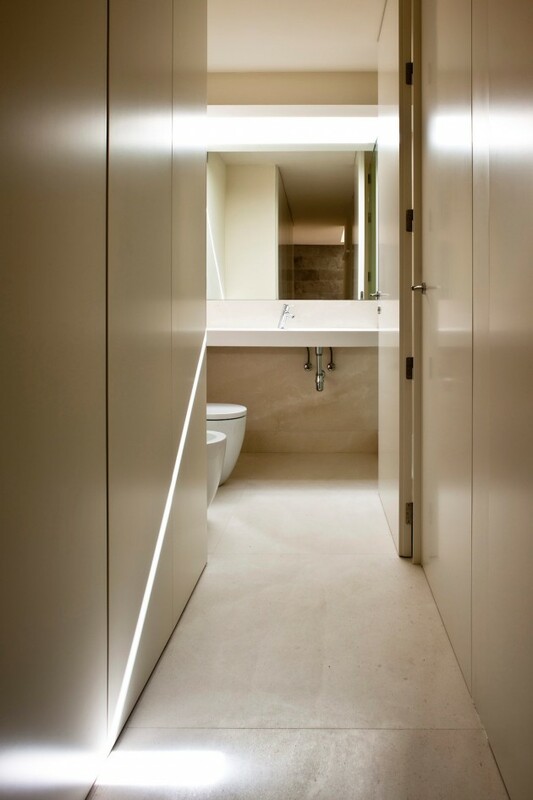 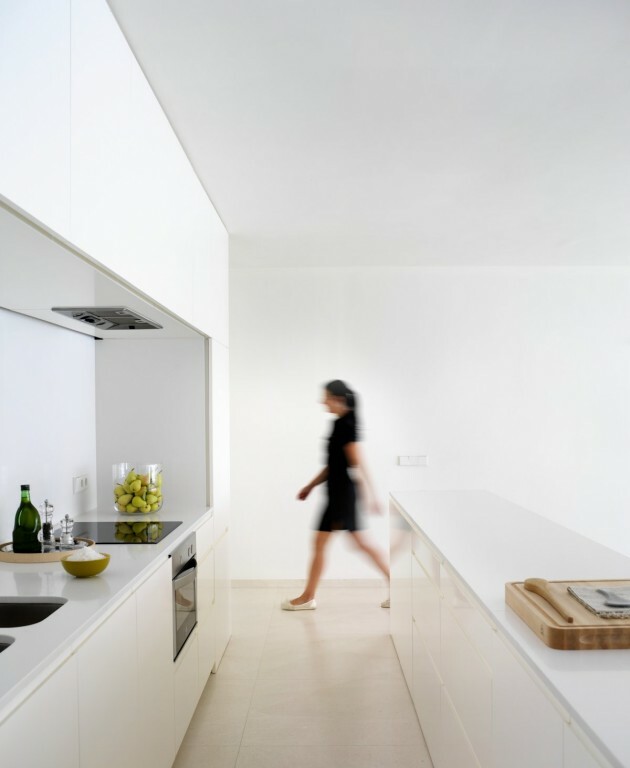 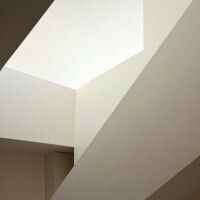 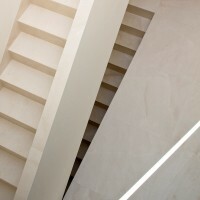 A piece built on the same white lime, the same primacy of the massif on the opening, which takes the edge of the site to have their holes and integrated into the fragmentation of the environment.